Real estate developer Harold Longworth is facing life in prison for the murder of his wife in the Sagaponack, Long Island, New York, home. Just hired by the defense attorneys, former NYPD detective Giuseppe "Joey" Mancuso realizes that for a whole year before the trial, the attorneys have bungled the investigation. Was it on purpose? Are the attorneys covering something up? Joey and his half-brother, Father Dominic O'Brian, have ten days before the end of the trial to find the real murderer. The day of the murder, a year ago, Suffolk PD homicide detectives found Mr. Longworth, alone in the home, sitting by his wife's body after he called 9-1-1. Her blood was on his clothes. His bloody prints were on the murder weapon. Gunshot residue on his arms and hands. The prosecution is on the last days of their presentation. They have proven opportunity on the part of Longworth. As for motivation, they are about to show that Mrs. Longworth, the victim, was asking for a divorce and settlement on a $75 million estate. Further, they uncovered that Mr. Harold Longworth suspected his wife of having an affair. 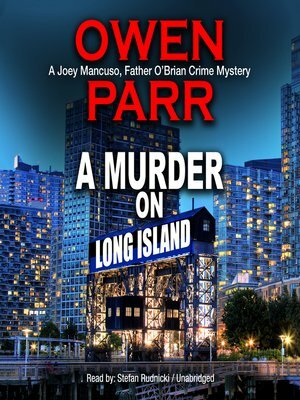 As Mancuso and Father O'Brian begin working the case from their center of operations, Captain O'Brian's Pub and Cigar Bar, corner of Beaver and Hanover Streets, in the Financial District of Manhattan, they find that there could be a lot more to this murder. The Longworth Foundation, a $100 million nonprofit organization, is under FBI probe and IRS audit for potential tax schemes, money laundering, and colluding with foreign governments. Mancuso, in his admitted Sherlock Holmes style, likes to look beyond the obvious. To observe things others looked at, but did not see. Can Mancuso and O'Brian save Mr. Longworth from a life sentence? Will they be able to unravel a possible fraudulent tax scheme being concocted by the foundation executives? Or, is it simply a case of the husband did it out of jealously?